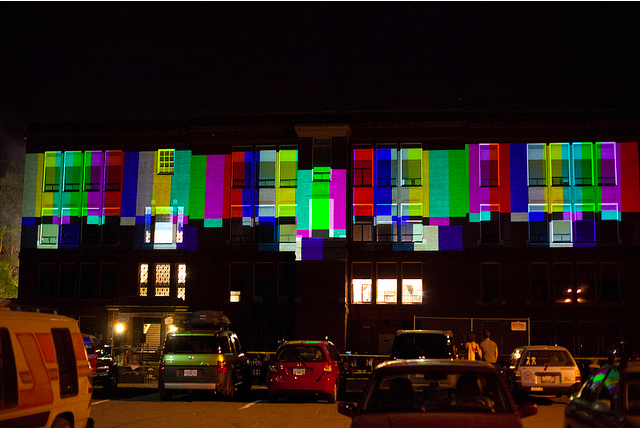 Courtesy of Portland Institute for Contemporary Art. 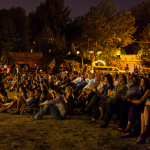 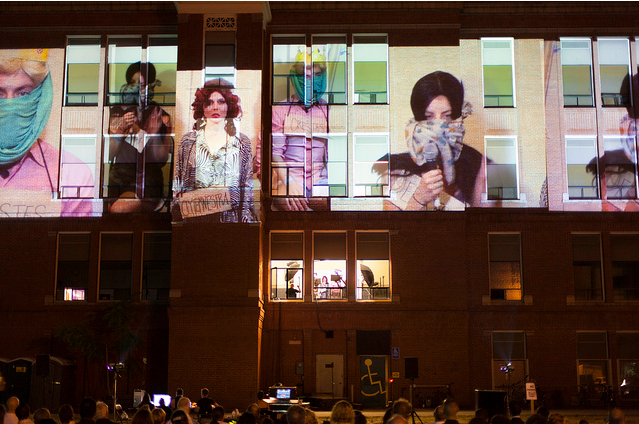 This past September 6-8, 2012 Big Art Group presented The People – Portland as the opening for the 10th Annual Portland Institute for Contemporary Art Time Based Arts Festival (TBA). 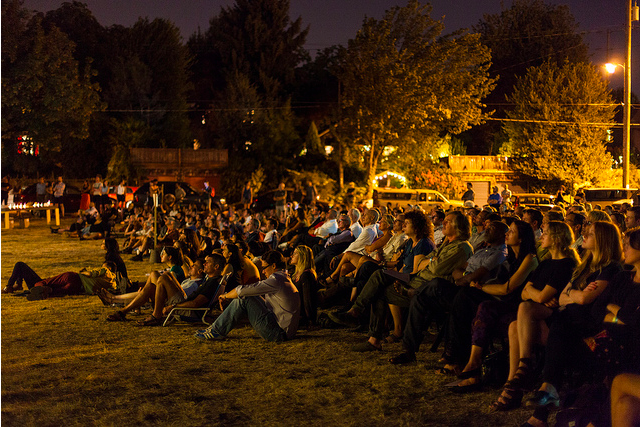 Big Art Group spent a week residency in Portland in May 2012 to scout locations and hold interviews with a cross-section of about 40 local participants. 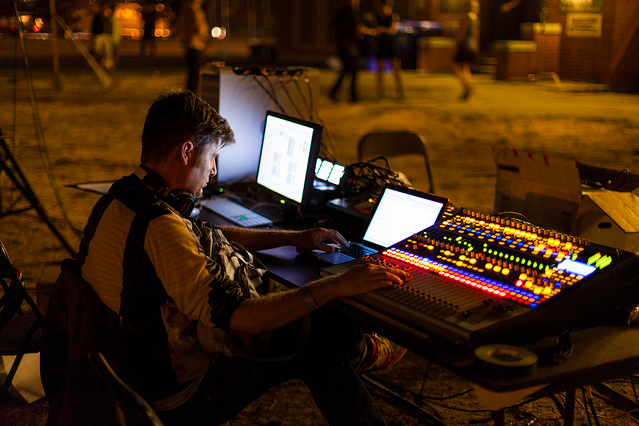 These interviews where then used to develop the script and edited into Greek choruses for the live performance. 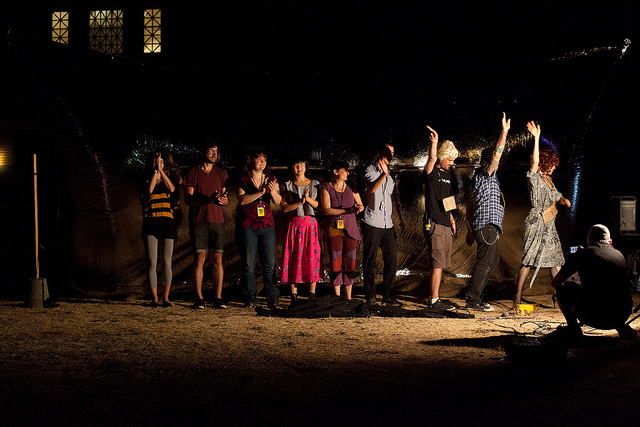 September 1-3, 2012, Caden Manson lead a three-day intensive workshop based in Big Art Group’s training and performance strategies with local performance makers. 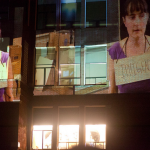 At the end of the workshop the group of 30 people creating a 2 channel video tableaux to be incorporated into the live work. 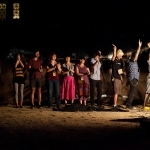 Also at this time, Mr. Manson “cast” 9 local performers to be participate in the live performances. 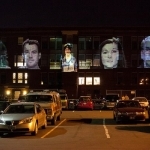 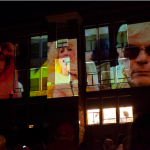 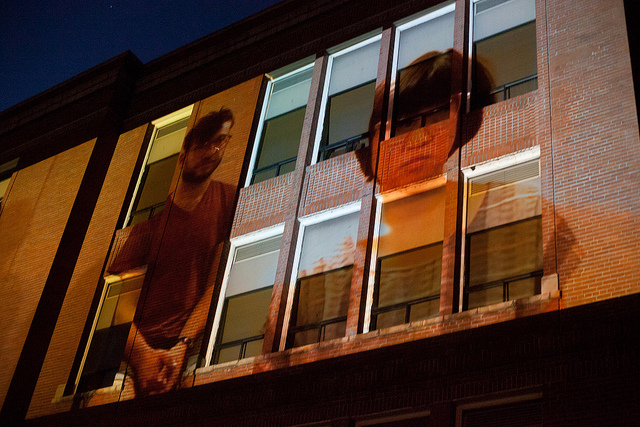 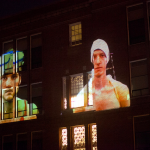 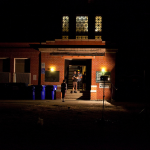 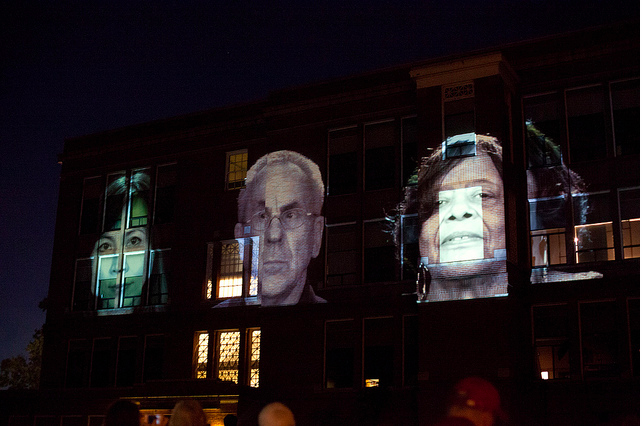 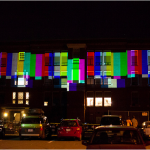 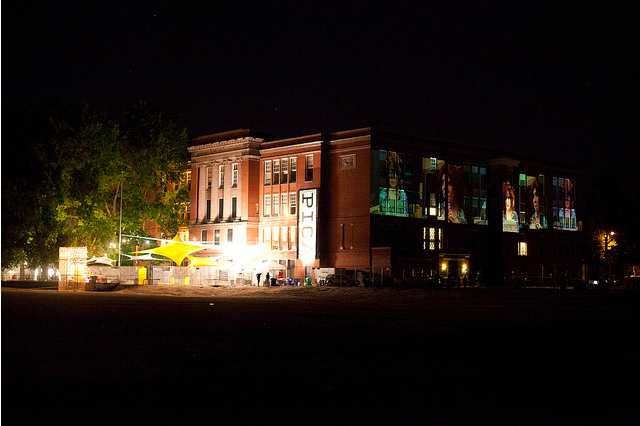 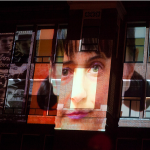 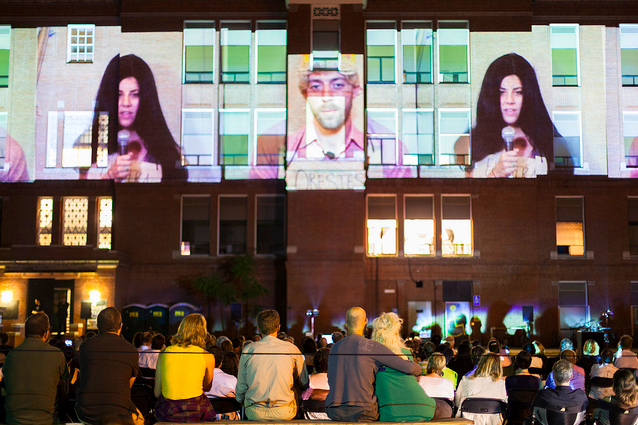 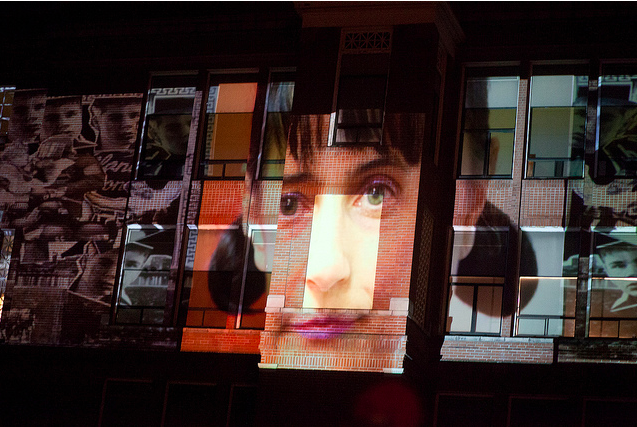 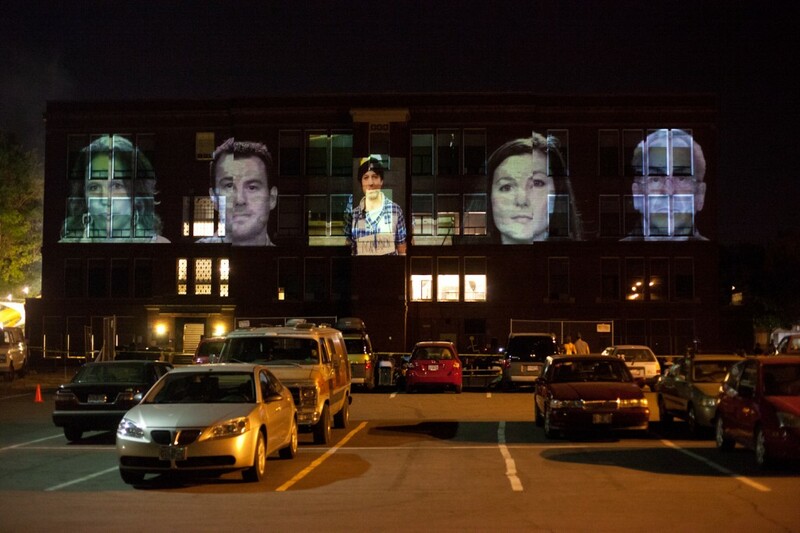 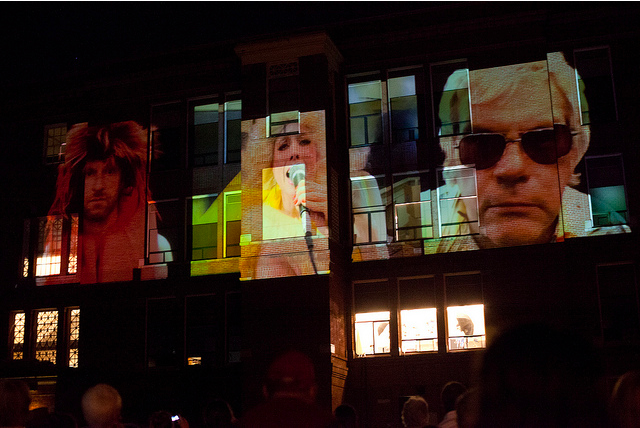 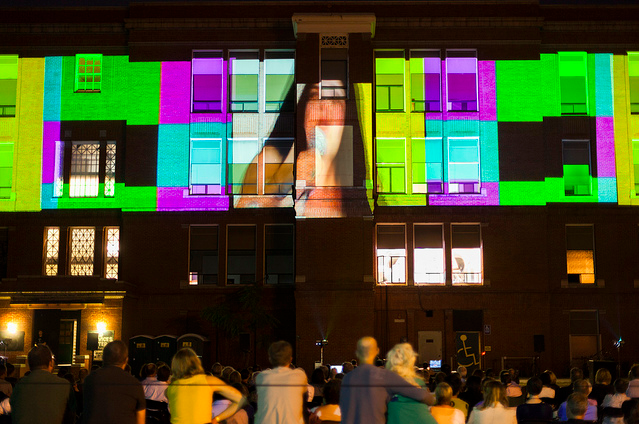 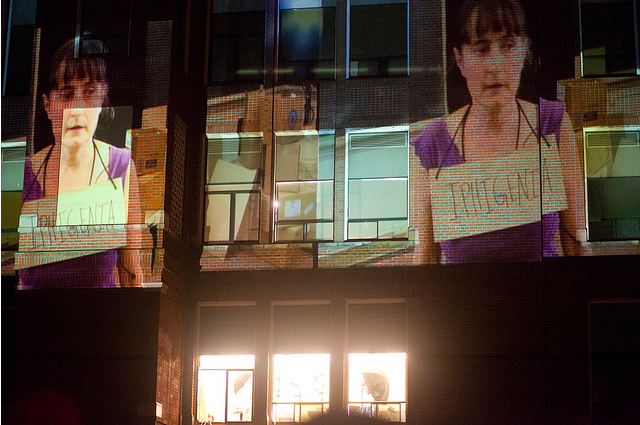 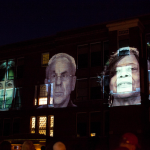 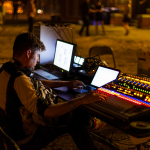 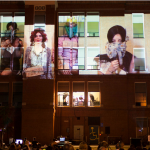 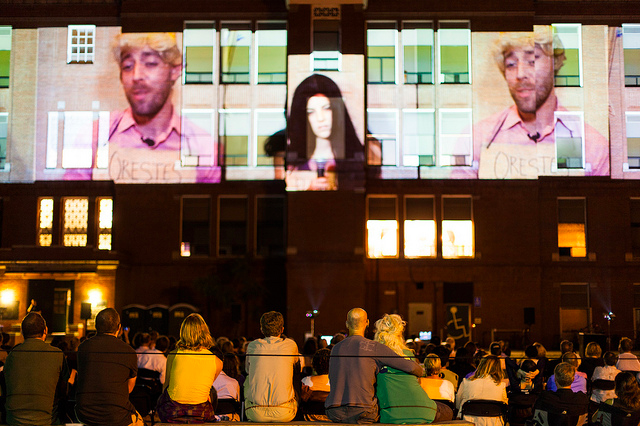 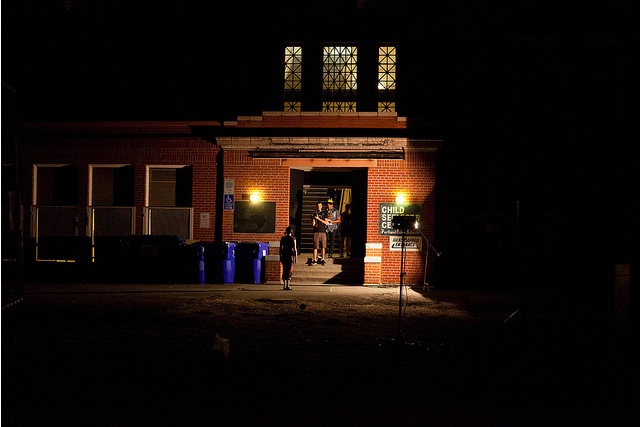 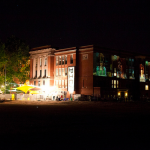 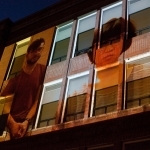 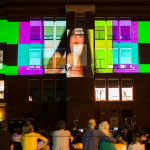 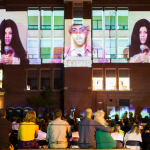 The final performances were created live inside an abandoned High School and projected in a 5 channel, 300 foot long installation on the facade of the building. 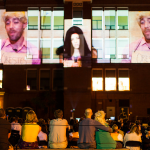 As the audience watched from the ground, they could both see through the windows at the action unfolding inside and the live manipulate images on the exterior. 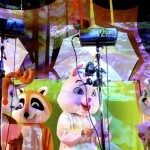 Below are some images of the performances. 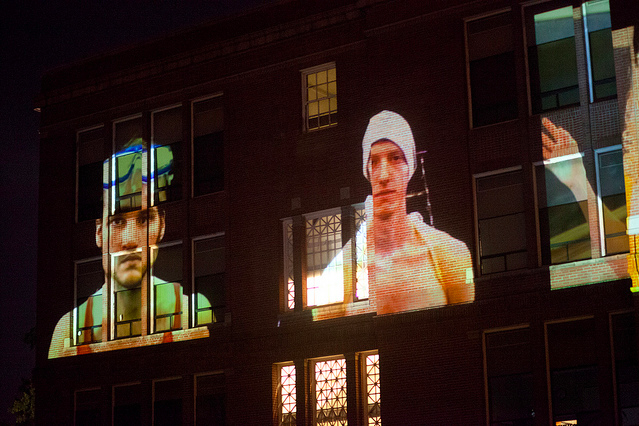 Later next week we will post the interviews.